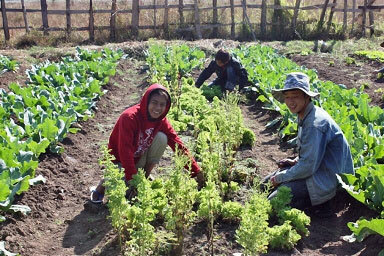 Our local Community Enterprise was founded in 2005 by a group of locals who wanted to make better use of their land, share it and the work with others and establish an organic vegetable garden. Over the years this has grown into the community farm craft centre and organic farm. 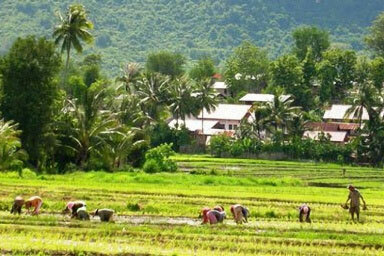 The Living Land Company cooperates with the Department of Agriculture in Luang Prabang, The Northern College of Agriculture and has links with similar projects outside Luang Prabang. Today we welcome visitors who want to learn how rice is grown and to experience the life of a typical Lao Farmer. 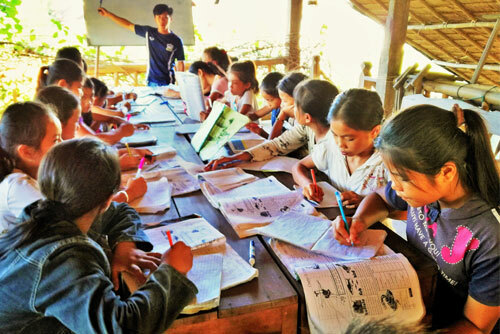 Our project supports children from poor families with their education and medical needs. We offer free English language classes to children from local villages, with classes held on our farm and in the Village Hall. We act as a training centre for the Northern District of Agriculture and welcome some of their students to do their practical work experience on our farm. 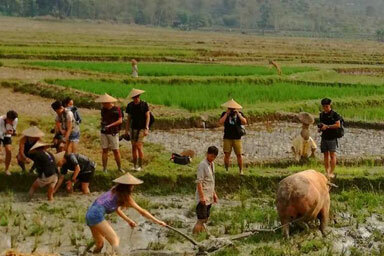 We support the local village with infrastructure projects and provide work for a number of villagers who make goods like clothing, rice snacks, rice wine etc for the Rice Experience. We employ people with low educational skills or physical handicaps. WE ARE THE VOICE OF THOSE WHO CANNOT SPEAK FOR THEMSELVES AND HELP WHERE HELP IS NEEDED.